These images are meant to be “idea starters”. CONTACT US and we’ll work together to identify your optimal solution. Choose from a variety of storage pedestal drawer/cabinet configurations. Single and double width options, or 4”W panel legs. 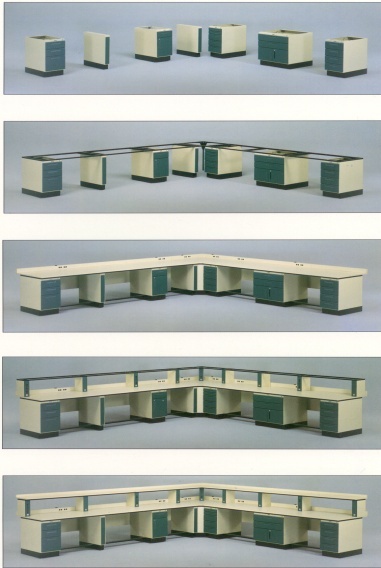 Arrange desired layout with worksurface spans up to 84” between supports. Share supports where worktops join to reduce cost. 1” steel tube steel frames tie pedestals together and assure stability along with high load capacity. Maximum modularity supports ease of re-configuration. 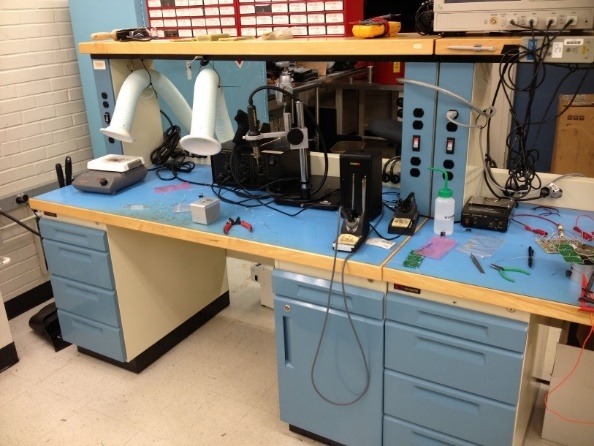 Remove, add or swap modules, worksurfaces, risers, shelves, etc. as needed to modify layouts and adapt to changing workflows. 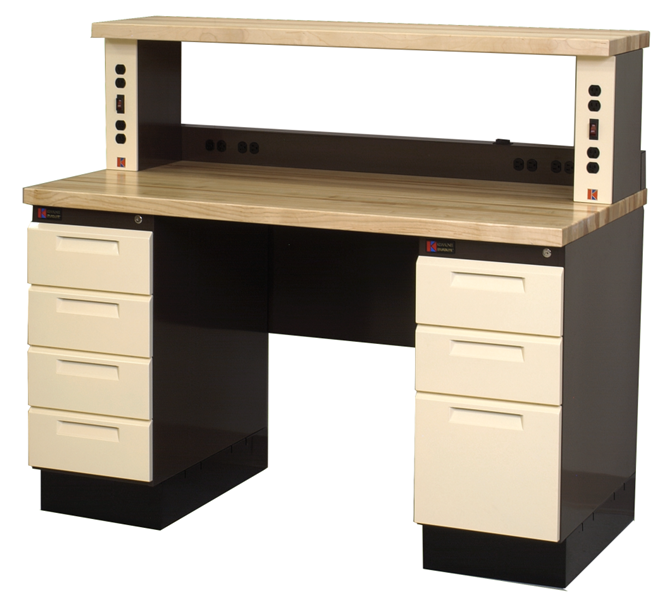 Individual free-standing workbenches can be configured in sizes from 36”W to 96”W. With or without shelves. 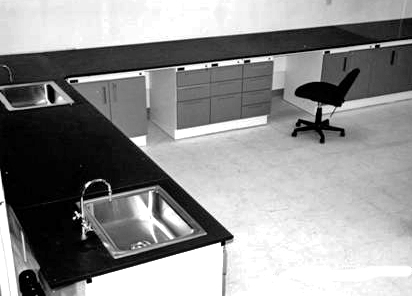 Specify ESD, phenolic resin, stainless steel or other worksurface material. Support pedestals available for desk height (30”) and bench height (36”) applications. A. Call Center. Panel legs, no storage. 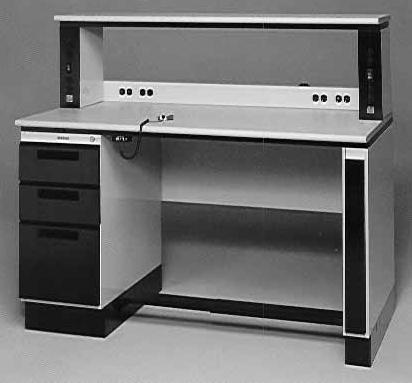 (2) 6´W workstation side by side, sharing middle support panel. Power and data outlets installed in shelf risers. B. 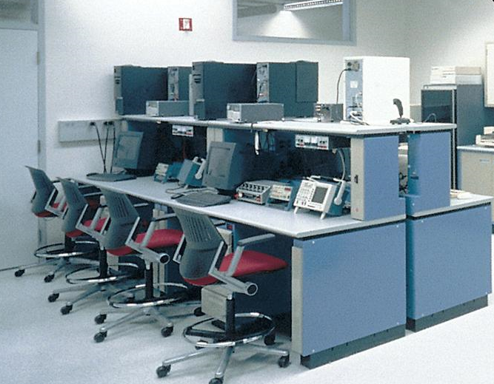 University lab. Power shelf risers, power backsplash, drawer pedestals on each side. Eliminating lower modesty panels creates open aesthetic. D. Biotech Lab. Free standing workstation at ends of row of back to back units. 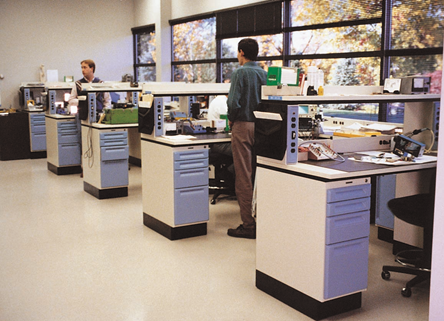 Shown with wall lab cabinets and fume hood. 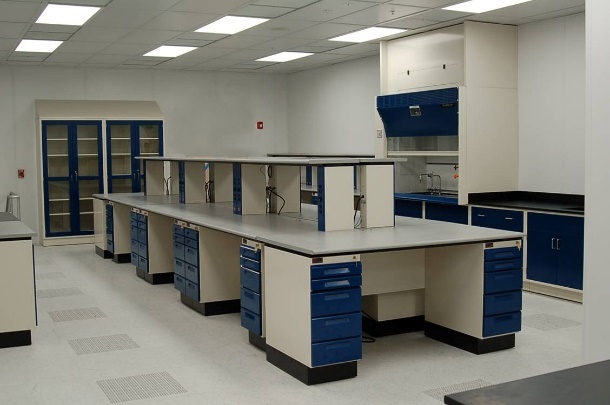 E. Biotech lab, multiple storage peds with open knee spaces, stainless steel sinks, faucets.